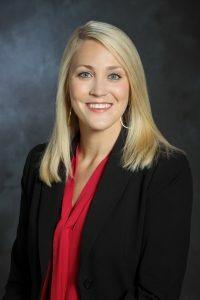 (Orlando, Fla.) – June 1, 2018 — The International Parking Institute (IPI) announced that Brittany Moore, CAPP, assistant general manager, parking services for the City of Greenville, S.C., has been named its 2018 Emerging Leader of the Year. The award, part of IPI’s 12th annual Professional Recognition Program, was announced at the association’s 2018 Conference & Expo in Orlando, Fla., June 3-6. 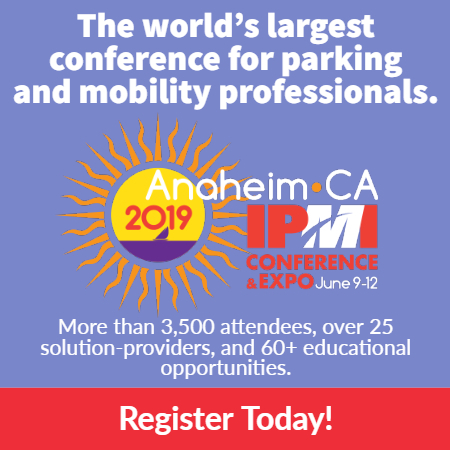 It honors professionals age 40 and younger who are blazing their own trails through the parking and transportation industry. Moore, like so many other parking and transportation professionals, backed into parking. Working for the city of Greenville while earning her master’s degree in public administration, she took an internship with the parking services division and managed an operational audit with a consultant. In less than four years she has become a full-fledged parking professional, holding two leadership positions. She has helped with planning and construction oversight of two new garages, an addition, and a surface lot; coordinated emergency repairs; and helped manage special events. Since earning CAPP at age 29, Moore has actively sought professional development opportunities, attending webinars, classes, conferences, and IPI’s inaugural Leadership Summit, as well as pursuing Parksmart Advisor status. In her brief parking career, she has gained experience in design, construction, maintenance, repairs, wayfinding, development agreements, parking agreements, call center operations, special event, customer service, enforcement, monthly billing, and more. She uses this growing knowledge and experience to innovate and increase efficiencies in parking operations. Moore also pursues awards and recognition for her department and helps people outside the industry understand why Parking Matters. She meets challenges head-on, dealing with everything from design and layouts to lighting design, Americans with Disabilities Act standards, and emergency repairs to structures. Customer-focused and hands-on, she has helped paint stairwells before an event, upgrade operating standards, and optimize schedules. She holds regular meetings with staff and works through creative solutions to optimize operations. She is well-liked, very respected, and an asset to the department.